Trejdify Top Stories: Can Hi-Crush Partners turn their sand into gold? Can Hi-Crush Partners turn their sand into gold? To analyze the company, we are going to use the same method used by the famous fund manager Peter Lynch. Using "Common Sense" can summarize the method. For example, if you like to buy Apple products, you should also take a look at the Apple stock. If you would like to learn more about the methods used by Peter Lynch, you can read this summary: Peter Lynch - Beat the stock market with what you already know, or invest in the excellent book One up on Wall Street written by Peter Lynch himself. "A good manager can turn sand into gold and a bad manager can turn gold into sand"
The founders of the company Hi-Crush Partners ($HCLP) read that quote, and turned it word-for-word into a business idea. What Hi-Crush Partners is trying to do is to turn sand into gold - not real gold, but dollars which you can buy gold for. The company is going public with their IPO at August 16, 2012. "We are a pure play, low-cost, domestic producer of premium monocrystalline sand, a specialized mineral that is used as a proppant to enhance the recovery rates of hydrocarbons from oil and natural gas wells." To be able to understand why oil and gas drillers need their sand, we need to begin with an introduction to the US oil and gas industry. US and the rest of the world needs oil to be able to drive cars to get to work, and we need oil to produce food. The problem today is that US is running out of oil and has to important oil from Middle East and other locations. If you remember the BP Deepwater Horizon oil spill in 2010, you realize that it is impossible to find oil in the US which is easy to recover from the ground. Why would BP drill 1500 meters under the ocean - if they could find the same oil on land? Well, you can find the same oil on land, but that oil is not easy to drill for either. These new types of oil and gas wells are going under the name "shale" or "unconventional". The basic idea is that you drill a hole in the ground, first down into the ground, then sideways into the shale rock. You add a proppant (a mixture of sand, water and chemicals) into the hole, and that proppant will now make it easier to recover the oil and gas from the hole. Here's a video explaining the process. At around 4:20, you will notice the appearance of the word sand - this is the same sand produced by Hi-Crush Partners. This company is a little bit different from the last IPO we reviewed here. When we analyzed CKE Restaurants, we could actually look for people on Twitter who had eaten the food at their restaurants, and determine whether the customers liked the food. We can't do that with Hi-Crush Partners, so we really need to understand why their customers like their sand. You can't use any sand you want in the oil and gas wells, you need to use a special type of sand - with the correct shape, size, and strength - to get the best results. The best sand to use is the "Northern White" sand ("Wisconsin White", "Ottawa", are other names for the same type of sand) - the same type of sand produced by Hi-Crush Partners. 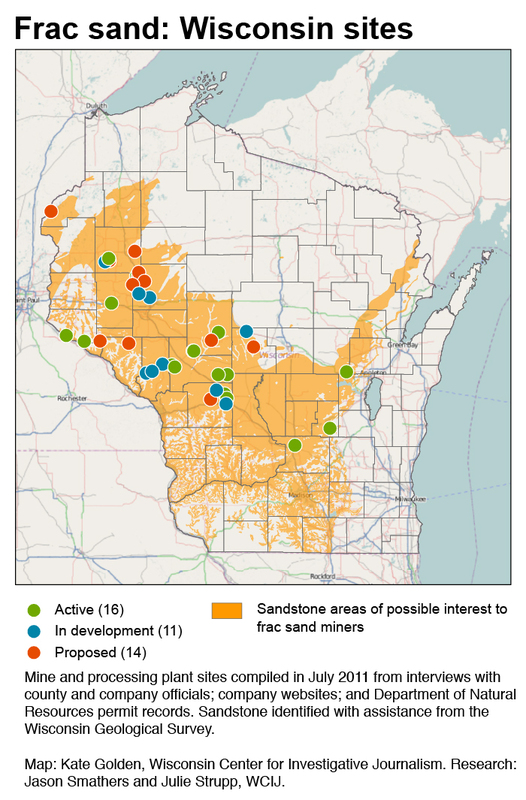 The only place where you can find the sand is in the Western parts of Wisconsin, where Hi-Crush Partners are producing the sand at the Wyeville facility. They are delivering the sand on trains to their customers. The Wyeville facility can produce 1.6 million tons per year and the sand will last for about 33 years. In 2011, the customers had to pay 60 USD per ton of sand, the customers purchased 79 percent of the available sand, and the production costs were 18 USD per ton of sand. It's difficult to analyze the growth of the company. The Wyeville facility is about 1 year old, and Hi-Crush Partners can currently produce about 1.6 million tons of sand per year, and the company can acquire more land (1,700 acres) with the same type of sand available if they want to build more facilities. They are also planning to acquire existing facilities, such as the Augusta facility which is similar to the Wyeville facility. The Augusta facility is currently in operation by the sponsor Hi-Crush Proppants. The consumption of proppant will probably grow in the future, the question is if Hi-Crush Partners can deliver more sand? The average growth per year in the demand for proppant has been 28 percent over the last 5 years. The future expected growth in the demand for proppant is 7 percent per year. 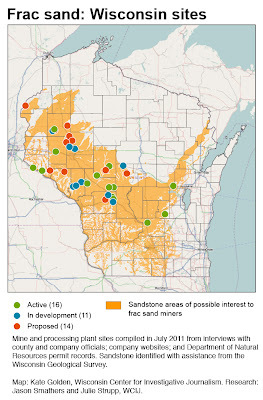 Hi-Crush Partners is not the only producer of sand in Wisconsin. They have competitors and the main competitors include Badger Mining Corporation, Fairmount Minerals, Preferred Proppants, Unimin Corporation, and US Silica Holdings. However, Hi-Crush Partners claims that they are a low-cost producer in the field. Peter Lynch has a list with the attributes of a great company to invest in, here are the attributes that fits Hi-Crush Partners. Update: $HCLP increased with 17.65 percent the first day and is now trading at $20. Remember that this was only a short introduction to the company to use if you haven't heard about the company before, and to get a feeling if you would like to learn more about the company on your own.